Customers in many corners of Africa have signed up for WearCheck training recently, to enhance their investment in their condition monitoring programme. 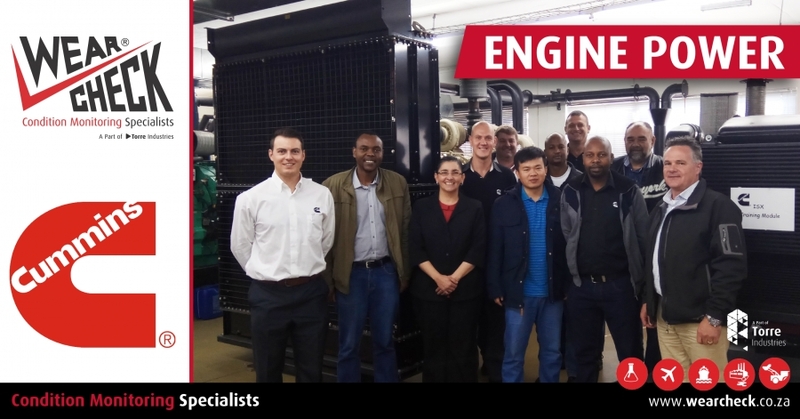 Technical manager Steven Lumley conducted training for engine manufacturer Cummins recently. The training for Cummins, which took place at the Cummins South Africa training facility in Johannesburg, was customised especially for the customer. Topics included an introduction to oils, additives, application storage, the tests performed and the relevance of each one, and well as the interpretation of test results. Cummins develops engines for specialist applications such as on highway, off highway and marine. Engaging the best possible methods for keeping the engines running at optimum output is of great value, therefore WearCheck training is an important part of the maintenance strategy.